Nintendo releases the following Pokemon XY English TV commercial yesterday. We can see Xernea uses Moonblast (Moon Force). 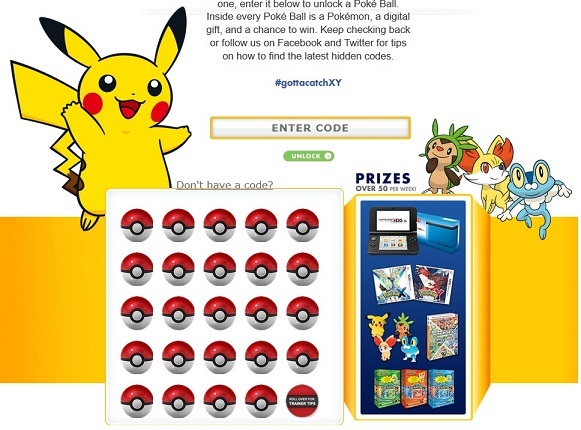 The Pokemon Company launches "Gotta Catch' Em All" website thsi Monday. 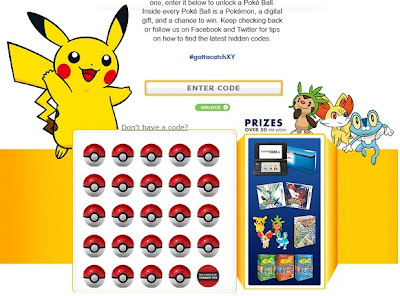 You have the chance to win the gift (3DS, TCG XY Starters boxes, strategy guides, plush, and digital downloads for X and Y) after finding the code from SNS/websites and entering code. This promotion is valid by 12 October, only US residents. As for first step, please visit to the site and enter XY1012. More codes list is here.